Date palm (Phoenix dactylifera L.) is the most popular fruit in the Middle East and North Africa. It is consumed widely and has been used for traditional medicine purposes for a long time. The fruits are nutrient rich, containing dietary fibers, sugar, protein, vitamins, minerals, flavonoid, and phenolic compounds. Due to the presence of the phenolic compounds, date palm fruits are antioxidant rich with potent bioactivities against several bacterial pathogens. Therefore, on the basis of the available evidence as reviewed in this paper, it was found that date fruits are a good source of natural antioxidants, which can be used for the management of oxidative stress–related and infectious diseases. Many key biologics are scheduled to lose their patent by the year 2020, which will provide the opportunity to other biopharmaceutical companies to develop the similar biologics. Biosimilar or similar biologic used has increased in the recent year following the approval of the first biosimilar in early 2000. India is one of the leading manufacturers of similar biologics. India has developed a new guideline in 2012 for the pre- and post-marketing approval of similar biologics. Background: Antioxidative properties of medicinal plants play the key role in plant defense mechanism. Argyreia argentea is an evergreen shrub which is used in the treatment of boils, gastric ulcers, tumor, marasmus, paralysis and spermatorrhea, rheumatoid arthritis, cold, painful sensation, and fever. Aims: This research investigates the phytochemical contents and antioxidative effects of optimized crude methanol extract of A. argentea. Materials and Methods: Crude methanol extract of A. argentea prepared in an optimized procedure has been analyzed by high-performance liquid chromatography to quantitatively determine the phytochemical contents. Tannin content of the extract was determined by established method. The extract was also analyzed for in vitro antioxidative actions by spectrophotometric analysis using 2,2’-azino-bis(3-ethylbenzo-thiazoline-6-sulfonic acid) diammonium salt (ABTS) method, N, N-dimethyl-1,4-diaminobenzene (DMPD) free radical scavenging method, superoxide radical scavenging method, and nitric oxide scavenging method. Results: The experimental results showed a high amount of catechin hydrate (348.62mg/100g of dry extract) and moderate amount of gallic acid, p-coumaric acid, and rutin hydrate in the methanol extract of A. argentea. Tannin content was found to be 29.66mg/g tannic acid equivalent. 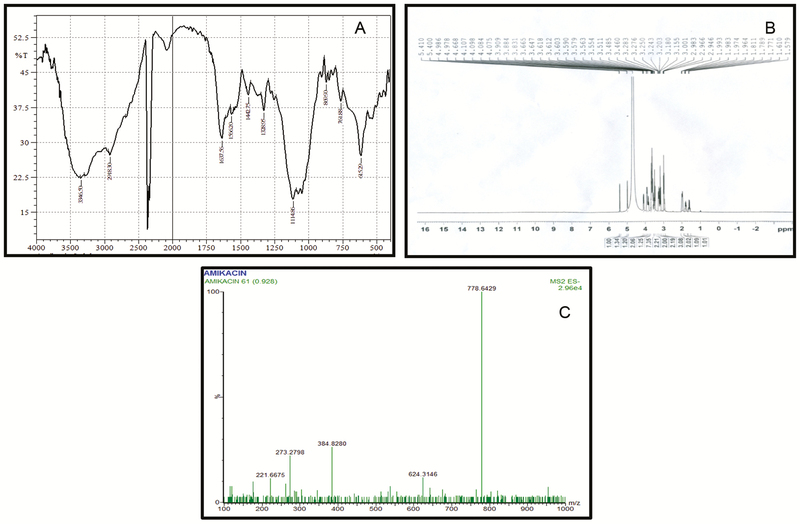 Scavenging effects expressed as inhibition concentrations (IC50) for ABTS assay, DMPD assay, superoxide assay, and NO assay were 1148.3 µg/mL ± 7.32 µmol ascorbic acid/g, 1017.68 µg/mL, 1116.89 µg/mL, 1835.23 µg/mL, respectively. All the values were compared with their respective standards. No β-carotene was detected in the extract. Conclusions: Use of A. argentea extract as a source of functional food as well as an antioxidative agent could be considered with further confirmation. Introduction: Previously, we have reported the amelioration of ad-AF induced hepatotoxicity with the exogenous supplementation of glutathione (GSH) without compromising the anti-tumor effect of ad-AF in ascites tumor model of mice with transplantable Ehrlich’s Ascites Tumor cells. Cellular uptake of glutathione (GSH) has its own limitations, therefore exogenous supplementation of L-cysteine (Cys) was tried to reduce the toxicity of ad-AF by providing –SH contents without compromising the anti-tumor property of adsorbed ascites fluid (ad-AF). 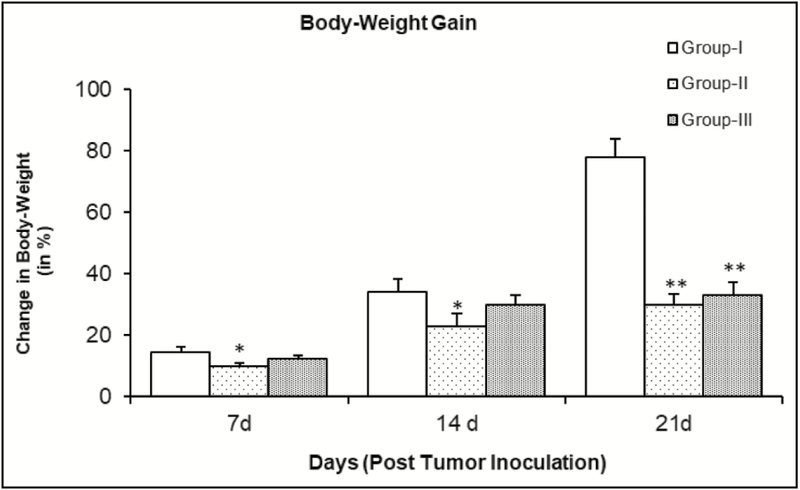 Results: A significant increase in mean survival time (MST) of tumor bearing mice from 18.1 days to 32.9 days with exogenous supplementation of Cys was observed. Cys supplementation did not alter decline in body-weight gain, tumor cell counts as well as decrease in the viability of tumor cells in ascites tumor bearing animals. Similarly, Cys has been helpful to restore the hepatic –SH contents upto the levels of –SH content in tumor control group. The exogenous supplementation of Cys along with ad-AF has been helpful to restore the decline in the activities of phase-I and enhanced levels of glutathione-S-transferase (GST). The changes in the activities of different enzymes of phase-I and phase-II indicate the reduction in toxic insult induced by the therapeutic material (ad-AF). However, ad-AF treatment could not prevent tumor bearers from natural death due to tumor progression but significantly reduced the rate of tumor progression. Conclusions: Our study suggests that exogenous supplementation of Cys alongwith ad-AF could have a potential to be developed as a modality for the treatment of ascites tumor at least at experimental level. Background: Today’s pharmaceutical markets are crowded with antibacterial agents, yet their toxicities and resistance are always contentious. Azadirachta indica is used in India as an age-old treatment for diverse medical conditions. 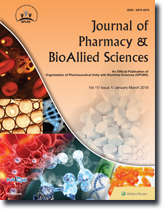 This study was put forth to analyze the antibacterial action of A. indica bark extract on different bacterial pathogens. Materials and Methods: A. indica bark extract was prepared using Soxhlet extraction method. 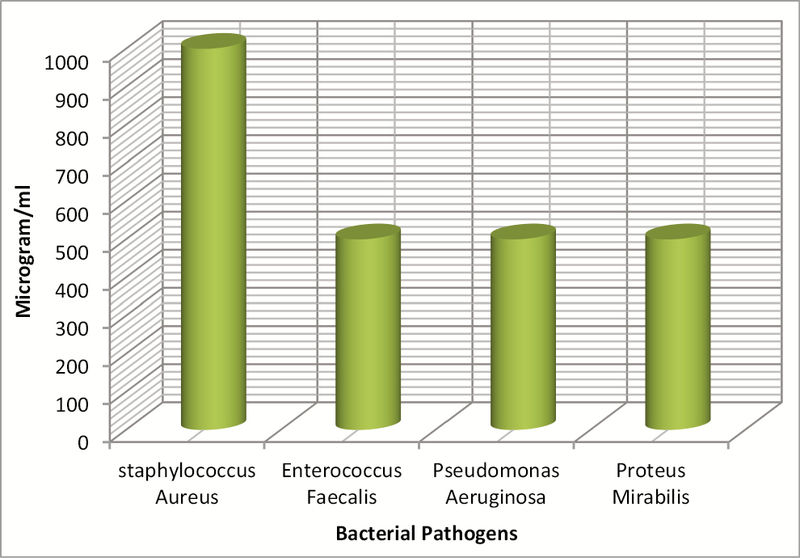 The bark extract of A. indica was screened for antibacterial activity by agar well diffusion assay technique against Staphylococcus aureus, Enterococcus faecalis, Pseudomonas aeruginosa, and Proteus mirabilis. Ciprofloxacin (5 µg per disc) was used as positive control. All assays were carried out under strict aseptic precautions. All the concentrations included were duplicated, and the results obtained were the average of two independent experiments. Broth microdilution method was used to study the minimum inhibitory concentration of the bark extract of A. indica. Results: A. indica bark extract has shown antibacterial activity against all concentrations of bark extract, whereas antibacterial activity against S. aureus was observed at higher concentration of >500 µg/mL. The bark extract of A. indica showed zone of clearance against E. faecalis, P. aeruginosa, and P. mirabilis at all concentrations. Zone of inhibition was observed in higher concentrations against S. aureus. Conclusion: This study has shown that A. indica bark extract has a potent antibacterial property against S. aureus, E. faecalis, P. aeruginosa, and P. mirabilis. Further isolation of bioactive compounds may lead to a new scope in the treatment of bacterial infections. Introduction: Caralluma adscendens var. attenuata (Wight) Grav. and Mayur., a member of Apocynaceae, is a perennial stem succulent plant with wide distribution in tropics and subtropics of the world. This plant is reported for the presence of steroids, flavonoids, saponins, triterpenes, and pregnane glycosides, and is known to have antidiabetic and antiulcerogenic properties. Materials and Methods: In this study, an attempt was made to identify antioxidant capacity and cytotoxic potential of n-hexane and aqueous methanolic extracts of total stem part of C. adscendens var. attenuata. 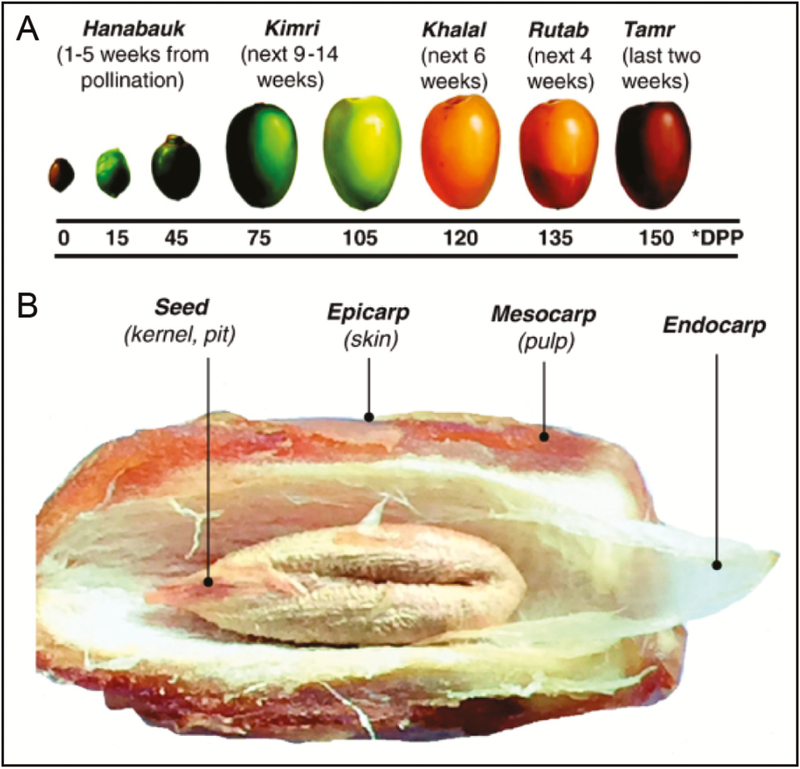 Antioxidant activity was evaluated by total phenolic content assay, total flavonoid content assay, free radical scavenging activity, and reducing ability methods. Cytotoxic activity was evaluated by 3-(4,5-dimethylthiazol-2-yl)-2,5 diphenyltetrazolium bromide (MTT) assay and nuclear staining methods for colorectal cancer cell lines HT29 and liver cancer cell lines HepG2. Results: MTT assay method has proven that the IC50 value was 10 μg/mL for both extracts, whereas for cisplatin standard, it was 2 μg/mL. By nuclear staining, the apoptotic cells were identified as oval masses with dark cytoplasm and dense green nuclear chromatin fragments indicating the programmed cell death for both n-hexane and aqueous methanolic extracts at the same concentration (10μg/mL). Conclusion: However, aqueous methanolic extract showed prominent cytotoxic potential against both cancer cell lines. Objective: The aim and objective of this study was to find the immunostimulant and immunomodulatory effect of T. ammi seed extracts. Methods: Seeds of T. ammi were extracted using three different solvents n-hexane, chloroform, and methanol by using soxhlet apparatus. To assess the immunomodulatory effect, delayed-type hypersensitivity (DTH) assay method was used and by the DTH assay, the effect of T. ammi on the skin thickness of rats was estimated. To find the exact dose for administration, acute toxicity test was performed using crude methanolic extract at a dose of 400, 800, 1600, and 3200mg/kg. After acute toxicity test, 500mg/kg dose was determined as safe for therapeutic effect and immunomodulatory effect was evaluated at this dose. Dose of 500mg/kg was administered to Wistar rats daily for 14 days and skin thickness of rats was measured at 24, 48, and 72h. Results: Results were obtained from six groups of rats, which were positive control group, negative control group, and the groups receiving the test drugs. Standard drug was the combination of sodium selenite, vitamin E, and sodium chloride and it showed more positive results as compared to that of test drug. Furthermore, among the three extracts, methanol extract showed more effectiveness on skin thickness. Conclusion: There was a meaningful difference was observed between the skin thickness of rats which shows that T. ammi have good immunomodulatory as well as immunostimulant activity. Context: Diet and beverages are thought to have notable effects on drugs. Recently, this relationship has received significant consideration. Aims: To develop and validate a simple, rapid, and sensitive method for the determination of glimepiride in rat serum. 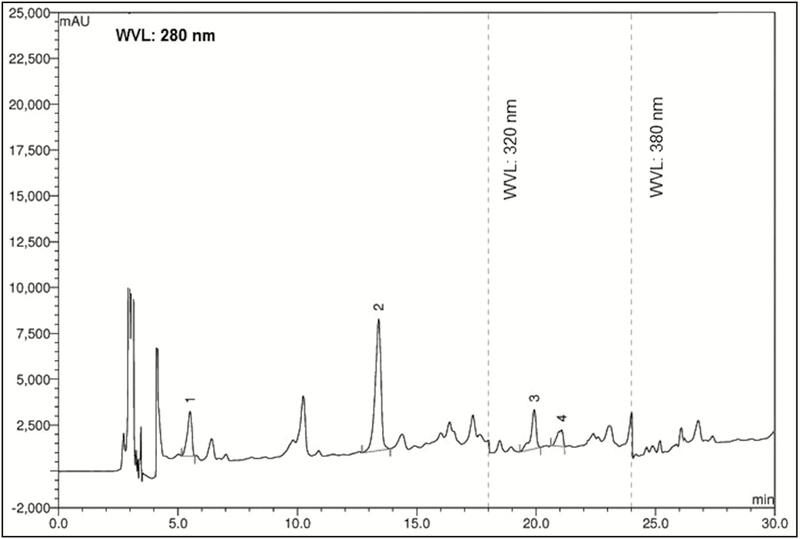 This will be performed using high-performance liquid chromatography–mass spectrometry (HPLC-MS/MS). Potential pharmacokinetic interactions between glimepiride and the soft drink, Vimto, will also be investigated in the serum of experimental rats. Materials and Methods: HPLC-MS/MS was constructed and clarithromycin was used as an internal standard. Results: The method was validated in terms of linearity, precision, accuracy, stability, and system suitability parameters. The method was found to be satisfactory and suitable for the determination of glimepiride. The precision of glimepiride was high (coefficient of variation, CV% <15%), the accuracy over all 3 days of validation was within the accepted criteria. Glimepiride peak serum concentration (Cmax) was 126.01ng/mL and was reached within 1h (Tmax) of administration. Mean area under curve (AUC) was 964.70ng/mL and was reached within 24h of administration. The Vimto soft drink significantly (P < 0.050) reduced glimepiride peak serum concentration to 57.87ng/mL and was reached within 2h of administration. AUC was significantly reduced to 335.04 ng*h/mL (P < 0.050). Conclusion: Glimepiride pharmacokinetic parameters such as Cmax and AUC were significantly affected by the Vimto soft drink. Therefore, this study developed a simple, rapid, and sensitive method for validation and determination of the effects of soft drinks on drugs using the LC-MS/MS method. Introduction: This study was carried out to evaluate the antioxidant potential of crude extract of Solanum nigrum leaves and its active constituents as treatment against restraint stress in rat’s liver. Methods: For this purpose, male albino Wistar rats were treated with crude extract of leaves and its alkaloid and flavonoid fractions both before and after 6 h of acute restraint stress. 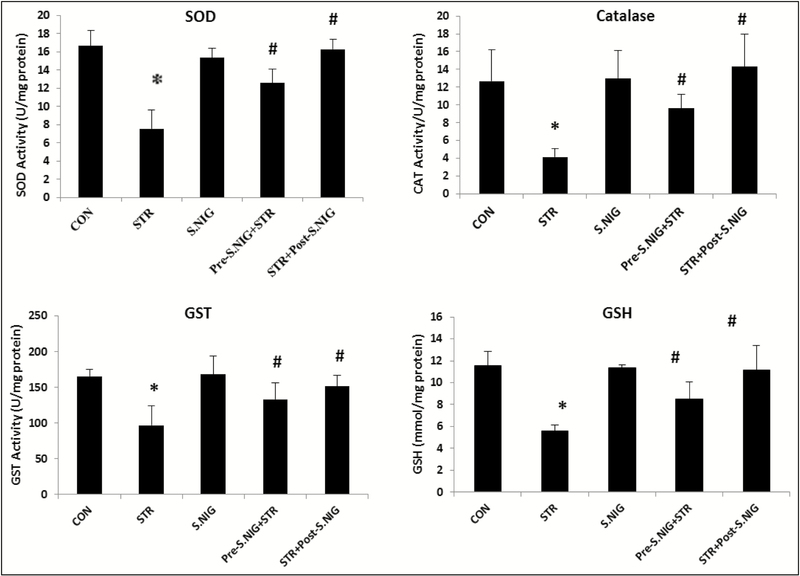 Prooxidant status of rat liver was assessed by determining the levels of thiobarbituric acid reactive substances, reduced glutathione, alkaline phosphatase, alanine transaminase, aspartate aminotransferase, and the activities of antioxidant enzymes superoxide dismutase (SOD), catalase (CAT), and glutathione S-transferase (GST). Results: Six hours of restraint stress generated oxidative stress in rat’s liver resulted in a significant rise in the level of the aforementioned liver enzymes. On the other hand, SOD, CAT, and GST enzymatic activities showed a significant decline in their level. The administration of crude leaves extract, both before and after stress exposure, significantly prevented the rise in the level of liver enzymes and reverted the activities of studied biochemical parameters toward their normal control values. However, the reversion was found to be more prominent in after-stress group. Conclusion: The aforementioned results highlight the significant antioxidant potential of S. nigrum extracts. On the basis of our study, we suggest the possible use of S. nigrum leaves extract as a nutritional supplement for combating oxidative stress induced damage. Introduction: Medication nonadherence is the most common issue observed in the management of diabetes because of complex and lifelong therapy. The study aimed to assess the effect of pharmacist-directed counseling and daily text message reminder on medication adherence and clinical profile of patients with type II diabetes. Materials and Methods: This prospective, open-labeled, randomized control trial was carried out in outpatient medical department of a secondary care referral hospital. 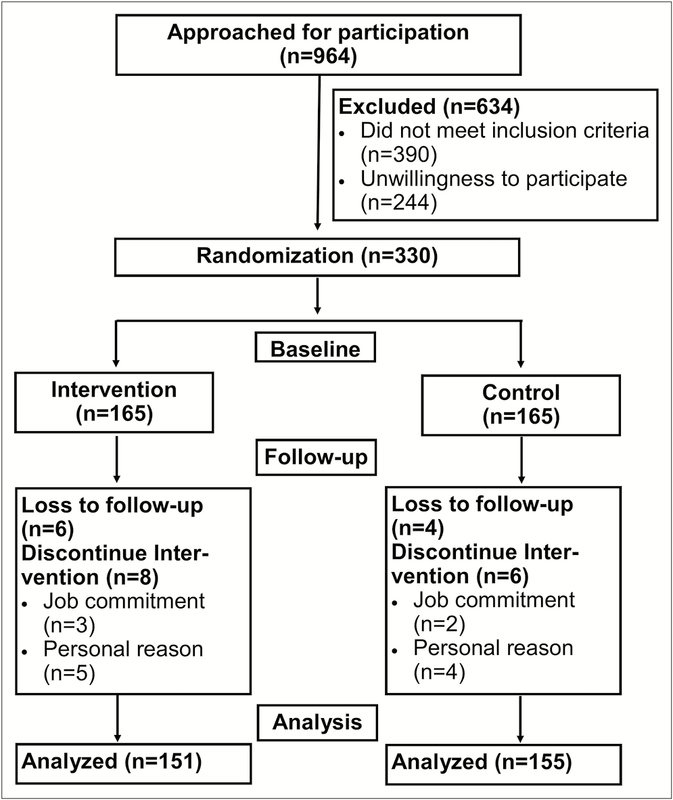 A total of 330 patients who met study criteria were enrolled and randomized into an intervention group (n = 165), received counseling and daily messages about medication intake and control group (n = 165), and usual care by physician. Medication adherence and clinical outcomes such as glycosylated hemoglobin (HbA1C), systolic blood pressure (SBP), low-density lipoprotein (LDL) cholesterol, triglyceride (TG) levels, and body mass index (BMI) were recorded at baseline and follow-up visits. Two-sample Wilcoxon rank sum test was used to compare the mean difference of medication adherence and paired t-test was used to compare clinical outcomes. Results and Discussion: The mean age of intervention and control groups were 57.1±8.55 and 58.5±8.53 years, respectively. The mean difference of medication adherence from baseline to second follow-up visit was significantly more in intervention group (12.2±7.1%) compared to that in control group (0.75±10.2%) with a P < 0.001. From baseline to second follow-up visit, HbA1C (7.79±0.67 to 6.91±0.83%), SBP (136.75±20.09 to 126.23±18.22mm Hg), and LDL cholesterol (104.14±26.23 to 98.29±20.87mg/dL) levels were significantly reduced in intervention group compared to that in control group with a P < 0.01. No significant improvement was observed in TG (169±33.71 to 168 65±33.90mg/dL) and BMI (27.9±4.21 to 27.1±3.12Kg/m2) levels from baseline to second follow-up visit. Conclusion: Pharmacist-directed patient counseling combined with message reminder showed a greater effect on the improvement of medication adherence and control of glycemia, blood pressure, and lipid profile in diabetes. Background: Hypertensive disorders represent major causes of maternal and fetal complications. It includes a range of conditions, most notably preeclampsia. Aspirin is a well-accepted therapy for the primary and secondary prevention of cardiovascular events. The indications for the use of aspirin during pregnancy are, however, the subject of much concern. This study aimed to assess the clinical characteristics from the benefits of daily low-dose aspirin administration alongside antihypertensive in pregnant women with different hypertensive disorders. Materials and Methods: A retrospective observational study was carried out on pregnant women during their routine visit to the obstetric clinic at Baghdad Teaching Hospital. Patients diagnosed during pregnancy with different hypertensive disorders on the prescription of antihypertensive medication with or without daily low-dose aspirin administration were selected. Data were collected to structure a detailed assessment regarding the patients’ demographic, gestational, and medical records. Results: Methyldopa was the main antihypertensive agent (98%). Among pregnant women with daily aspirin use, 68% had gestational hypertension, 24% had preeclampsia alongside proteinuria (P = 0.0001), the frequency of daily dose intake of methyldopa (250mg) tablet (two vs. three times) was significant (P = 0.0001). All pregnant women within the group of daily low-dose aspirin were safe from the incidence of eclampsia (P = 0.0001). Conclusion: This study provides intriguing evidence for the benefits of daily low-dose aspirin use during pregnancy as it is considered as a simple protective measure from serious maternal complications of hypertensive disorders, where these complications continue to affect maternal health long after delivery. Purpose: Amikacin, a water-soluble aminoglycoside antibiotic used to treat gram-negative bacillary infections, is a Biopharmaceutics Classification System class III drug having poor permeability and short half-life. It is given parenterally, which limits its use in patients warranting “at-home care.” An oral drug delivery of amikacin is, therefore, imminent. Aim: This work focused on establishing poly d, l-lactide-co-glycolide (PLGA)-based nanoparticles of amikacin with consolidated pharmaceutical attributes capable of circumventing gastrointestinal tract membrane barriers and promoting oral administration of the drug. The partied attributes are suggestive of enhanced uptake of the drug via Peyer’s patches overlaying small intestine and support successful oral delivery. Materials and Methods: To have a robust delivery system, a statistical Box–Behnken experimental design was used and formulation parameters such as homogenization time, probe sonication time, and drug/polymer ratio of amikacin-loaded PLGA nanoparticles (A-NPs) for obtaining monodispersed nanoparticles of adequate size and high drug loading were optimized. Results: The model suggested to use the optimum homogenization time, probe sonication time, and drug/polymer ratio as 30s, 120s, and 1:10, respectively. Under these formulation conditions, the particle size was found to be 260.3nm and the drug loading was 3.645%. Conclusion: Biodegradable PLGA nanoparticulate systems with high payload, optimum size, and low polydispersity index will ensure successful uptake and ultimately leading to better bioavailability. Hence, under the aforementioned optimized conditions, the A-NPs prepared had particle size of 260.3nm, which is appreciable for its permeability across small intestine, and drug loading of 3.645%. 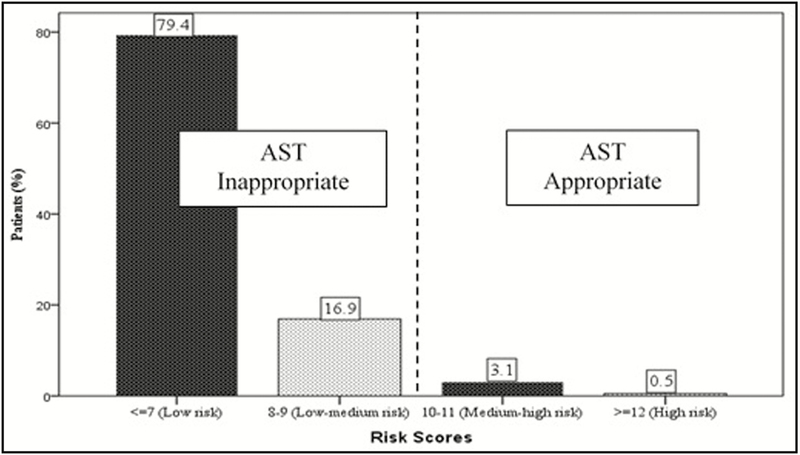 Objective: To investigate the appropriateness of acid-suppressive therapy (AST) for stress ulcer prophylaxis (SUP) in noncritically ill hospitalized patients. Materials and Methods: A prospective, observational study with 384 subjects was conducted between October and December 2017 in the emergency and internal medicine departments. The Herzig clinical risk scoring system and the guidelines of the American Society of Health-System Pharmacists guidelines were used to assess risk factors and determine risk scores for gastrointestinal (GI) bleeding. Results: The mean age of subjects was 51.9±19.4 years, and 220 (57.3%) of them were males. Among the absolute risk factors, coagulopathy was observed in 2 (0.5%) patients, mechanical ventilation in 15 (3.9%), and a history of GI bleeding in 1 (0.3%). Of 384 patients with SUP, 370 (96.4%) had a clinical risk score ≤ 9 and 14 (3.6%) had a risk score between 10 and 12 for nosocomial GI bleeding. A statistically significant relationship was found between the risk factor indication and demographics. Conclusion: SUP is frequently administered to noncritically ill hospitalized patients lacking risk factors for GI bleeding. Proton pump inhibitors are the overwhelming first choice of AST among prescribers. Practitioners should follow international guidelines when prescribing ASTs outside the critical-care setting. Christ–Siemens–Touraine syndrome/hypohidrotic ectodermal dysplasia (HED) is a heterogeneous group of inherited disorders with primary defects in tissues derived from embryonic ectoderm such as hair, tooth, nail, and sweat glands. To date, more than 192 distinct disorders have been described. 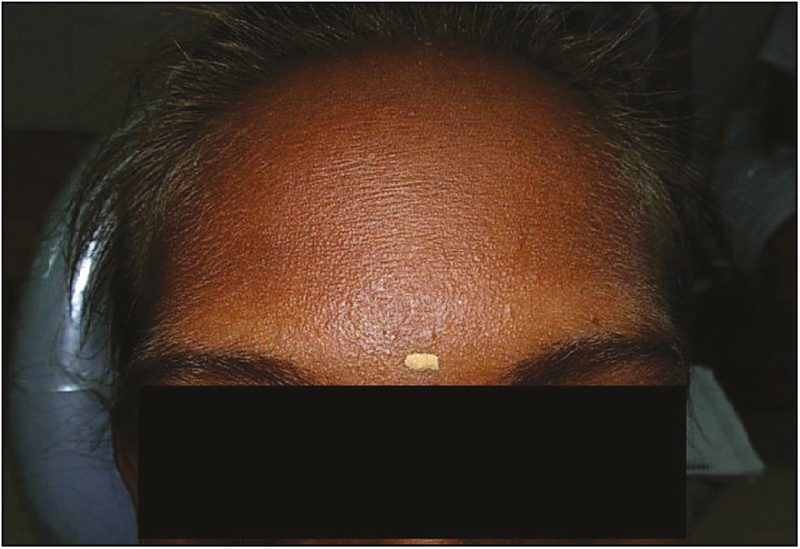 Here we present a case of 19-year-old female patient that manifested with HED (Christ-Siemens-Touraine syndrome).